Rodolphe is a young, rising star in the thoroughbred training ranks. He attended jockey school at age 14 at the renowned French academy AFASEC in Chantilly, France, graduating there at 16. He started to ride races immediately thereafter. That career as a jockey was cut short by the constant battle of weight, so he decided to stop riding races at the end of the 2002 racing season in France. That led him to take a position as a jockey agent for a full season in France to help a close friend, top rider Christophe Soumillon. That partnership was a very successful one, but it wasn’t Rodolphe’s true calling. He wanted to work with the horses and and he made the switch to start work as foreman/assistant trainer in the beginning of 2004 with Alain de Royer du pre. In February of 2005 came a phone call from top trainer Patrick Biancone and Rodolphe took the assistant trainer job for the Biancone barn from then through June of 2007, during which the barn won many big races with top horses such as Gorella, Asi Siempre, Lady of Venice, Henny Hughes, etc. In July of 2007, Rodolphe was in need of a change of scenery and he went to Saratoga and started galloping horses for Hall of Fame trainer, Bill Mott. Three months later, he was offered and accepted the assistant trainer position in the Mott barn. During that time, he has been astride many top Mott horses and thus been integral to the development of some of the best American horses of the last decade. Apart from recently deceased Royal Delta, whom he considers his favorite, he also exercised such standouts as Tourist, To Honor and Serve, Emollient, Drosselmeyer, Close Hatches, Flat Out, Lea and Unrivaled Belle. 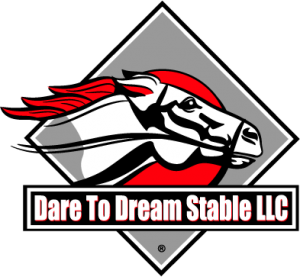 Rodolphe made the decision to take all the knowledge he has gleaned over the years to move out on his own in April 2017, at which time he was hired as a trainer for Dare To Dream Stable to train the Dare To Dream horses based in Kentucky during the spring, summer and fall and in Florida during the winter months. He has setup shop at Keeneland’s Rice Road barn area. 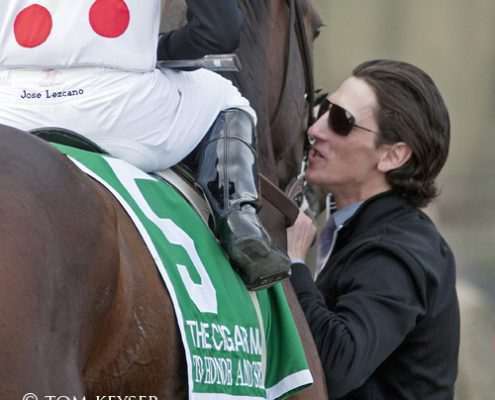 That location allows him to train in Lexington spring through fall and remain central to an array of tracks, including Churchill Downs, Arlington, Kentucky Downs, Indiana Grand and Ellis Park. He will move his operation to South Florida for the winter months where his string will run at Gulfstream Park and Tampa Bay Downs. For a little bit more on Rodolphe, see this Daily Racing From article.